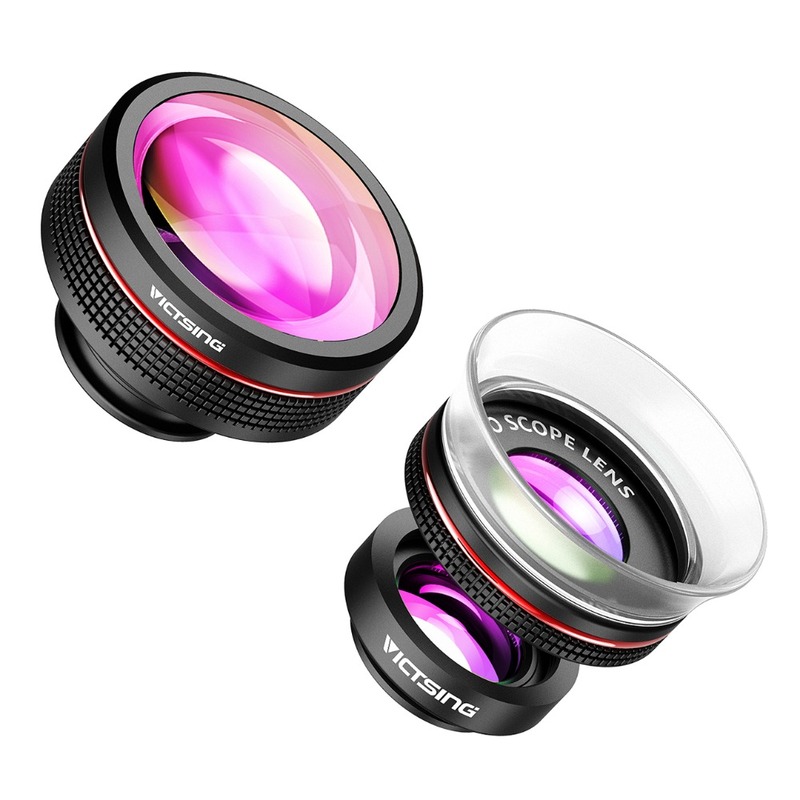 Adopted high-class glass, these lenses can captured much clearer images. 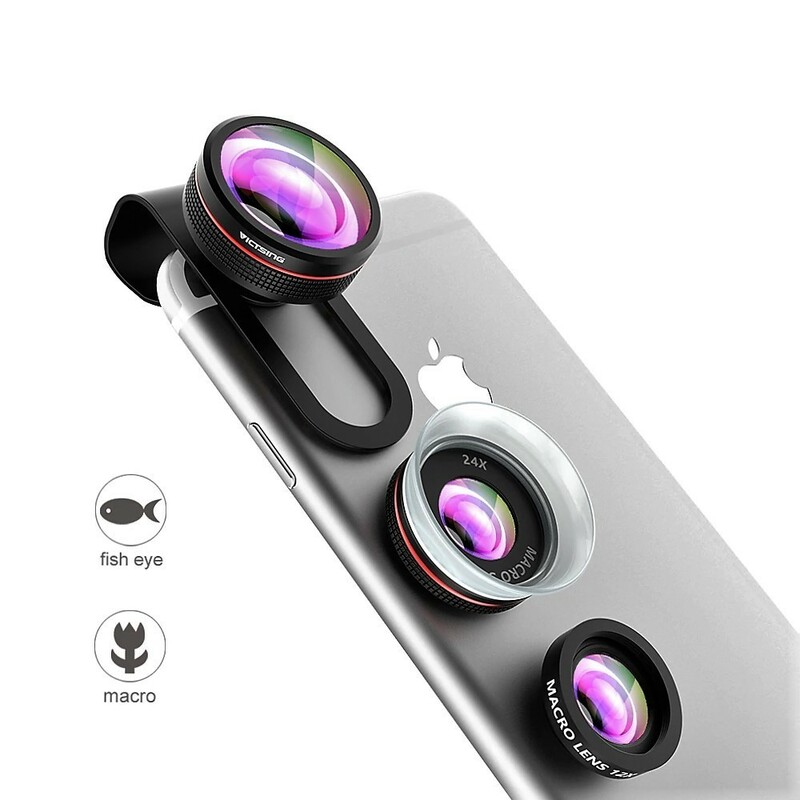 Use this fisheye lens, no annoying dark circle and blurry images around the pictures. 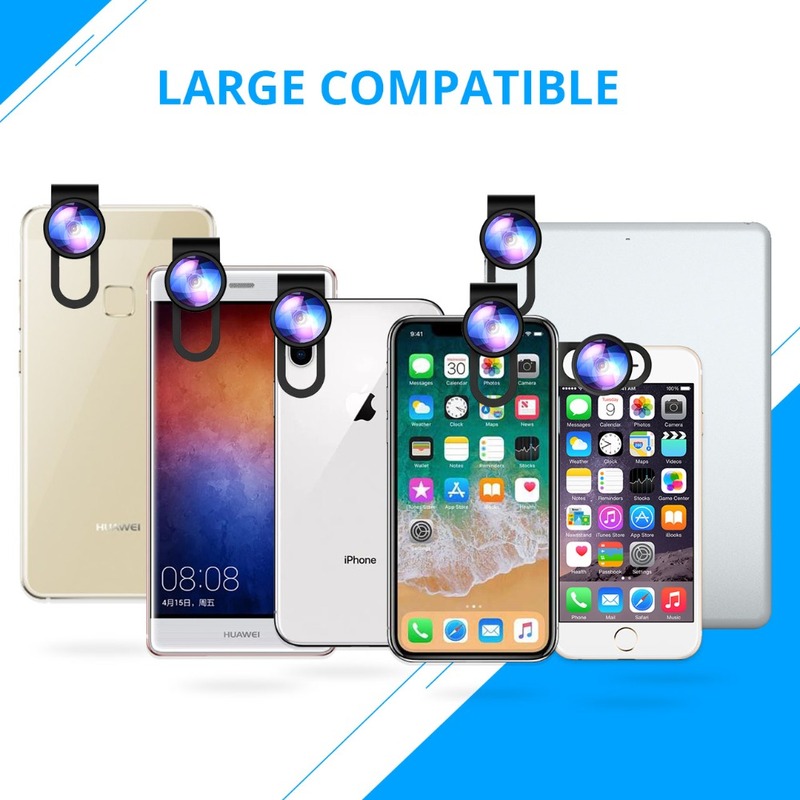 Top-rated consumer electronics accessories brand for daily life. 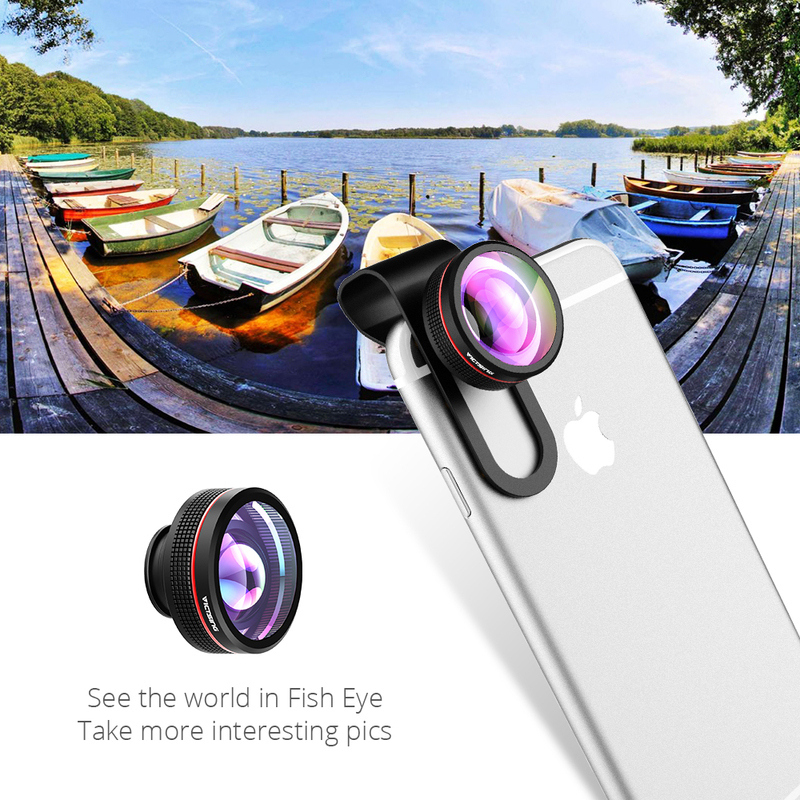 Fisheye lens takes you to enjoy the fantastic fish-eye world of images. 12X Macro lens and 24X Super Macro lens are connected together. You can use 12X Macro Lens to explore tiny things. 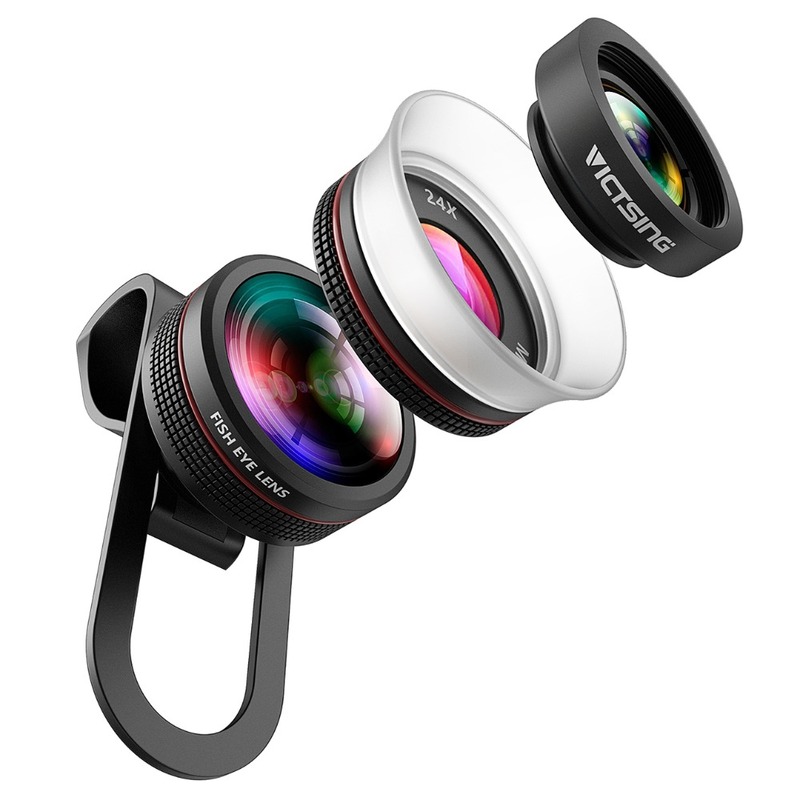 When you use the 24X Super Macro Lens, you should connected it with the 12X Macro Lens. 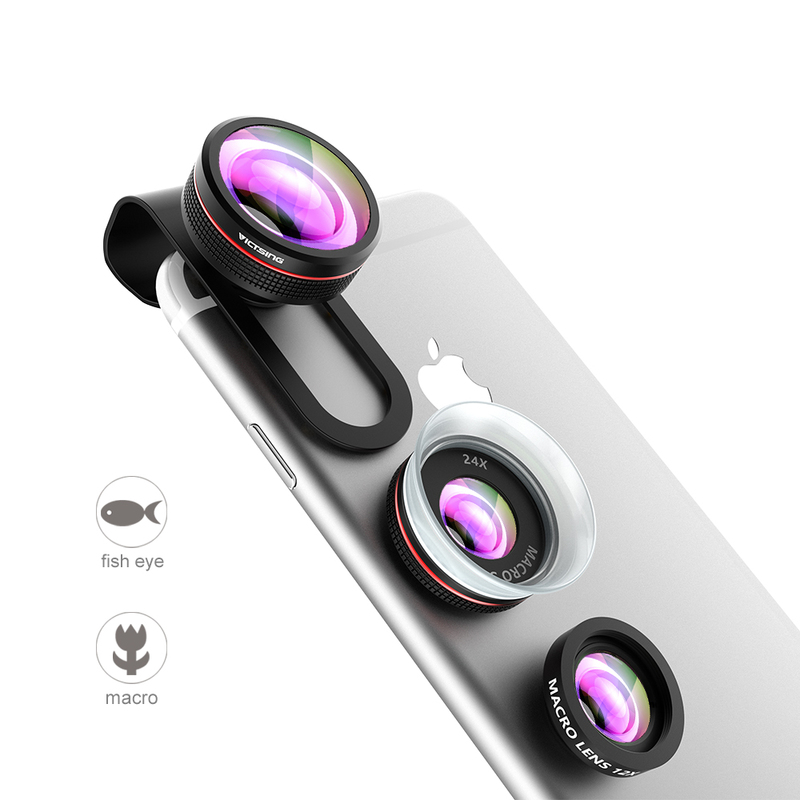 With this lens, you will be amazed at the fantastic super macro world! 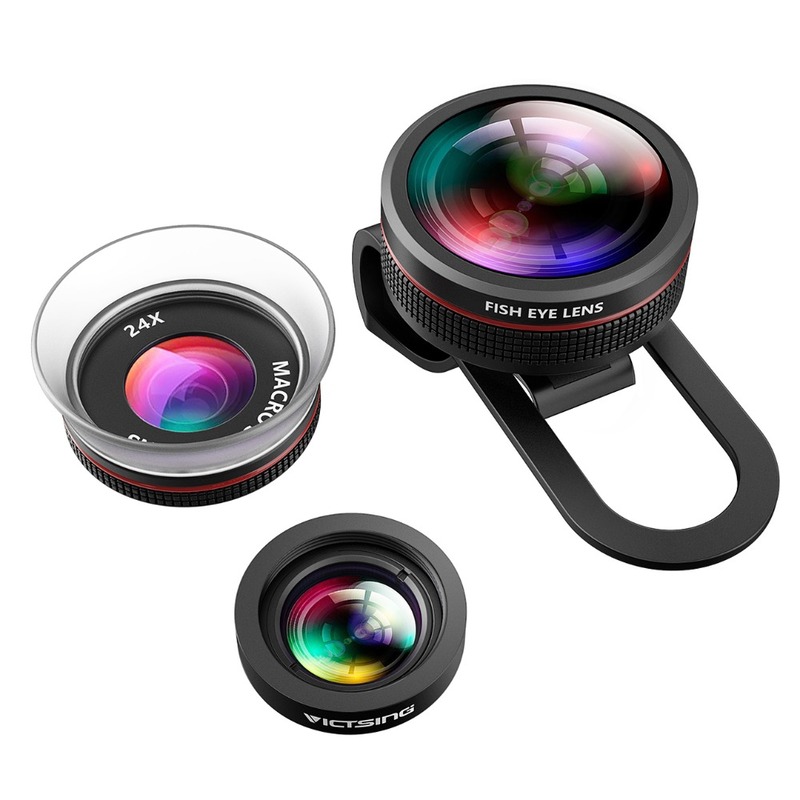 These lenses are suitable for most Cell phones with single/dual/triple/quad cameras. The simple and compact design makes your trip much easier. 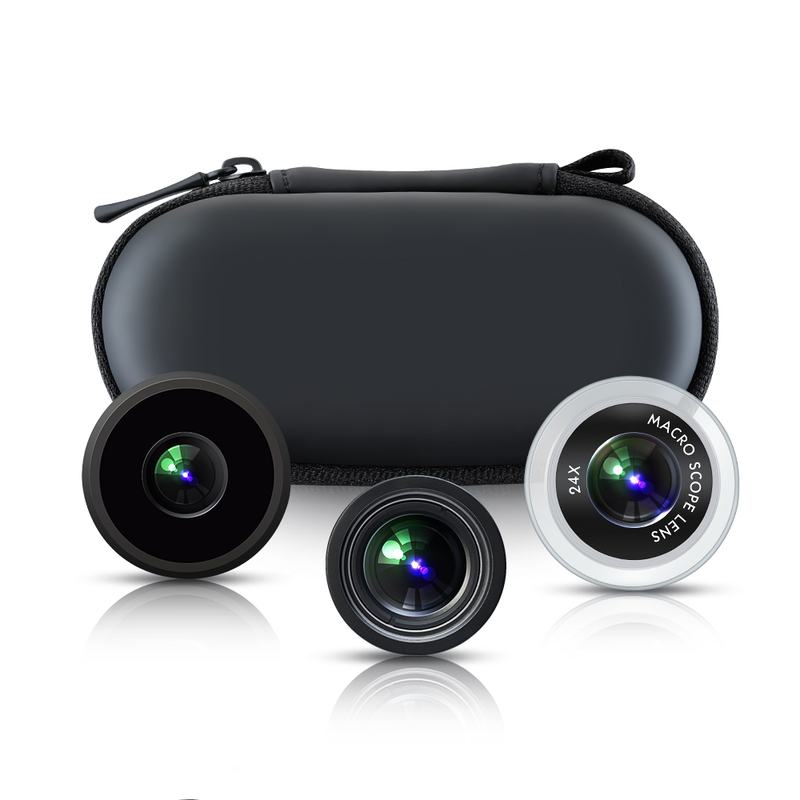 When you do not use them, you can detach the lenses from the clips , then put them into the cloth bag. 1. 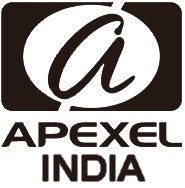 12X Macro Lens and 24X Super Macro Lens are connected together. When you use the 24X Super Macro Lens, both the 12X Macro Lens Super Macro Lens must be screwed together. 2. 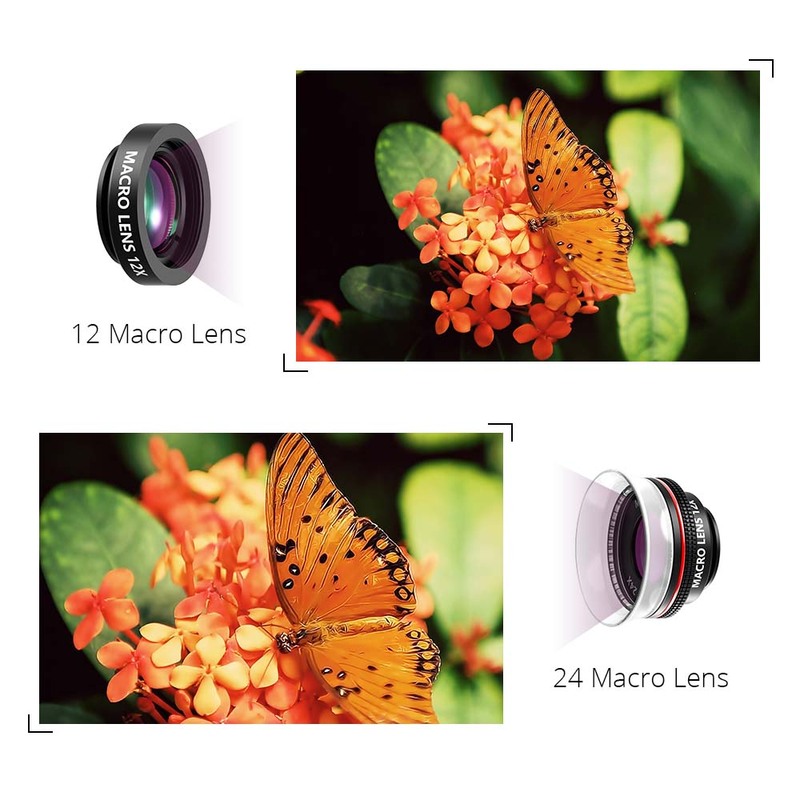 When using 24x macro lens, please place it on the surface of the object you want to shoot;When using 12x macro lens, please keep 5-15mm distance from the object you want to shoot.